Orange Park Guardianship Lawyer – Our Orange Park Guardianship Lawyers are able to assist you in guardianship matters in Orange Park, Florida. Orange Park, a suburb of Jacksonville, is located minutes from Jacksonville. Unlike Jacksonville, which is Duval County, Orange Park is located in Clay County. Any Guardianship proceeding would be filed in the Clay County Courthouse located in nearby Green Cove Springs at 825 North Orange Avenue. 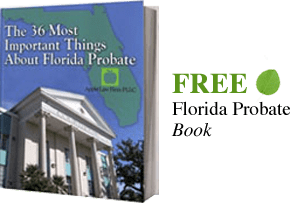 If the person for whom a guardianship is needed resides or is presently in a facility or otherwise located in Orange Park the guardianship proceeding is filed in the probate department of the Clay County Clerk’s office. The Courthouse is located at 825 North Orange Avenue, Green Cove Springs, Florida. Our Orange Park Guardianship Lawyers are knowledgeable in guardianship matters and have experience with plenary guardianships, limited guardianships, voluntary guardianships, guardianship of minors, and guardian advocacy. We can also assist you in proceedings granting temporary custody of a minor child to an extended family member.